A programming language launched in the year 2014 by Apple, Swift is steadily climbing up the charts of every small or big organisation, and they are increasingly using language for any IOS app development. Recently Swift 3.0 was launched, and since its release has become the new buzz of the town. This language which is much more adaptable, much easy to understand has been classified as a language which can easily satisfy client’s need and generate a high revenue for companies. So, why are most start-ups tending towards this language? What does it have which objective C doesn’t? 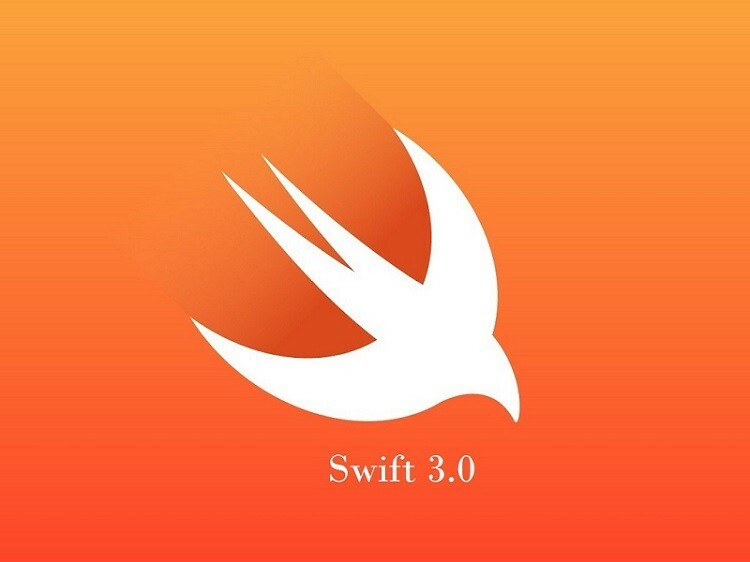 Most startups don’t have loads of cash to invest and hence do make sure to save as many resources initially as they can.While an app development through objective C requires plenty of tools which ought to be bought before the development can begin, Swift 3.0 is completely open source. You can customise this language according to your needs and can finally break the chain of monopoly as established by objective C for IOS app development. This programming language gives the developer a chance to bring out his creative side and hence build a unique and interactive application. The code is easy to understand, and hence multiple minds can simultaneously work on a project thereby implementing new innovative ideas generated from fresh minds. If a programmer during coding in Objective-C makes a fault or causes and error, then the application won’t run, and it would be very difficult to decipher where the error arose. Correction of that particular error will lead to numerous bugs being present in the entire code structure and thereby, in the long run, will lead to system crash. Swift 3.0, on the other hand, does continuously monitor the code which a programmer writes and in case he types or makes an error the same is immediately registered, and a log of all errors present in the code are kept, thereby making it easy for the programmer to correct the same at a later stage. While in objective C the keywords used were similar to C language an ‘@’ sign was used to differentiate one from other. There were a lot of grammatical rules as well as syntax which one should follow and abide by or else there was a great possibility of them encountering numerous errors. Swift, on the other hand, doesn’t have much grammatical rules and keywords, and you can write code without the use of parenthesis as well as semi-colons. Fewer rules have made coding in Swift a breeze and thereby increased the speed of app development. Security of any developed application is one prime aspect which no organisation can ignore. Any application developed needs to be highly secure, and hence Swift 3.0 does offer such security and maintenance to the client. Easy to understand code makes error detection easy and therefore any security glitches or maintenance issues encountered can be resolved effectively. Each of the above five features has made Swift the top programming language used by startups. This language does help in reducing their cost substantially as well as fastens their development process, thereby saving in on their resources. In case you are an expert in Swift and do have the required experience in IOS app mobile development then Xongolab, a leading mobile application development company based in Gujarat is hiring for such iOS/iPhone developers. Apply now and do get to be a part of one of the fastest growing mobile development enterprise in the nation. Previous PostPrevious How Much Does an App Like TripAdvisor Cost?